MPAC Ltd. Can support and supply parts for legacy products up to and beyond end of life. Protecting your investment in Mitsubishi Electric products is one of our top priorities. Time and time again we have helped our customers to enable their investment to migrate and transition forward into newer, more advanced offerings. The average lifecycle of a Mitsubishi Electric automation product can be 10 years or more. Although we have experience with Mitsubishi products operating reliably for periods in excess of 30 years. Mitsubishi offer innovative and technologically advanced products for industrial automation which are constantly evolving, so after a number of years a newer version of a product will be launched, the older version will remain available for a period of time then spares will remain available for a further period of time. Eventually spares parts will no longer be available and the best option for companies is to migrate to the newer platform while the installed system is still operable. Product end of life is always carried out in a structured manner and a great deal of effort is made on the part of Mitsubishi to accommodate legacy versions of a product when a new model is launched. Please feel free to contact us for further details of upcoming discontinuations, product availability, service, repair, and transition options. Our goal is to help you determine the best way to introduce new technology, while reusing as much of your existing investment as possible. We can also assist in upgrading legacy or obsolete equipment from other manufacturers and offer a migration solution. Please contact MPAC to discuss available migration options. Background: The A900GOT product line first released in 1998 and has served as Mitsubishi’s high performance Human Machine Interface solution. The A900 Series offered many unique and useful functions and considered by most, the best maintenance tool next to a PC. The A900GOT series was compatible with both rack-based and SuperMicro control systems and is now succeeded by the new GOT1000. Service Life: Repair service for A900 Series ran until 2013 or until parts / components become unavailable. Migration Info: The A900 Series is succeeded by the GOT2000. In most cases, the GOT2000 is a drop in replacement for the A900 Series but there are some situations where product functionality does not match up 100%. Please contact MPAC to discuss available migration options. Background: The F900GOT family was first released in 1998 and has served as Mitsubishi’s cost effective Human Machine Interface solution. These terminals offered many unique and useful functions and considered by most, the best maintenance tool next to having a PC. The 900 series was compatible with both rack-based and SuperMicro control systems and is now succeeded by the new GOT1000. Service Life: Repair service for F900 Series ran until 2013 or until parts/components become unavailable. 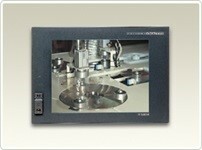 Migration Info: The F900 Series is succeeded by the GOT2000. In most cases, the GOT2000 is a drop in replacement for the F900 Series but there are some situations where product functionality does not match up 100%, Please contact MPAC to discuss available migration options. Background: The GT15 Series was first released in 2004 and has served as Mitsubishi’s high performance Human Machine Interface solution. Terminal in this family ranged from 5.7 inch to 15 inch in display size. These terminals offered many unique and useful functions and considered by most, the best maintenance tool next to having a PC. The GT15 Series was compatible with both rack-based and SuperMicro control systems and is now succeeded by the new GT16 Series. 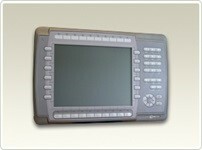 Migration Info: The GT15 Series is succeeded by the GT2000 Series. In most cases, the GT2000 Series is a drop in replacement for the GT15 series but there are some situations where product functionality does not match up 100%, Please contact MPAC to discuss available migration options. 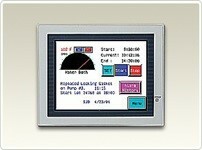 Background: The E Series family has been an integral part of Mitsubishi Electric’s product offering for several years. Its features, functions, and connectivity to various industrial devices were great complements to Mitsubishi’s Human Machine Interface solutions. As your E1000 terminals reach their calculated useful life, we can help you identify a transition path to the newer GOT2000 Series. Service Life: March 2015 or until parts/components become unavailable. 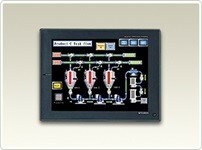 Migration Info: The E Series terminals should be transitioned to GOT2000 Series. The GOT2000 platform is a Graphical Operator Terminal (GOT) that combines the best in performance, graphics, and functionality in an ultra-compact and robust package. It is designed to tailor to applications of any size and complexity. Please contact MPAC to discuss available migration options. 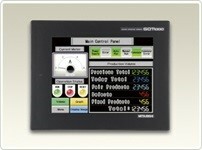 Background: The GT12 Series HMI has provided a reliable option for applications requiring a medium to large screen size operator interface at an entry-level price. Terminals in this family ranged from 8.4 inch to 10.4 inch in display size. Migration Info: With the release of the new GT23 Series, the GT12 Series is no longer necessary as the GT23 provides all of the same functionality plus additional GOT2000 Series features. Additionally, the availability of critical parts and the need to avoid extended downtime both make it important to be proactive in transitioning towards a newer platform. Please contact MPAC to discuss available migration options.